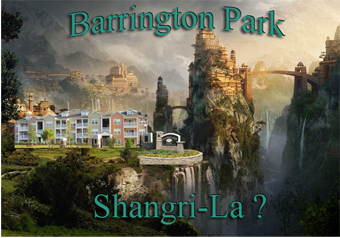 Are Barrington Park Condos The Shangri-La Of The Tallahassee Real Estate Market? I have been seeking a Tallahassee neighborhood for which I could report something different than all of our recent housing reports, and Barrington Park Condos in Tallahassee, Florida provides the relief that I have been seeking. Could it be possible to find a niche; a community in Tallahassee where property values have been on the rise for the past three years? How exactly would this happen and why might a neighborhood in Tallahassee completely disregard the trends in the rest of the Tallahassee real estate market? Well, the fact is that Barrington Park Condos are entering the third year in which higher average sales prices and average home prices are on the rise. The average price of a unit in Barrington Park Condos has risen from $80,000 in 2009 to $140,000 thus far in 2012. 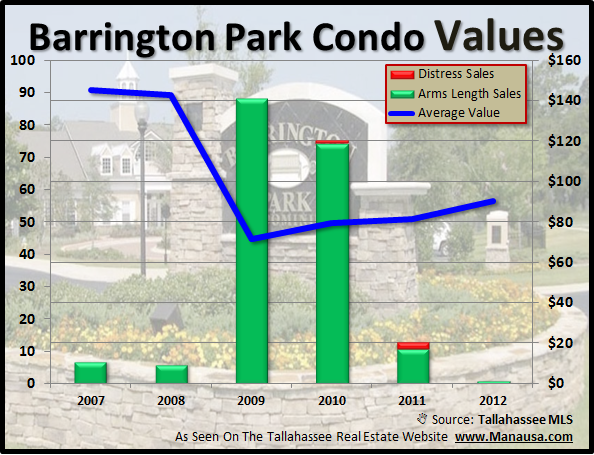 When we compare current values to values at the peak of the market, average condo prices in Barrington Park are down about 24%, which is consistent with the rest of the Northeast Tallahassee real estate market. The average value of Barrington Park Condos are also on the rise for nearly 3 years, with the current $90 per square foot average far higher than the $71 per square foot average found in 2009. Of course, Barrington Park Condo values are down 38% since the 2007 peak at $145 per square foot. So from what we have seen above, you might think that we have found the Shangri-La of the Tallahassee real estate market, but there is a rather simple explanation. Barrington Park Condos were offered to the market as a bulk liquidation back in 2009. Even as the market was falling, condo sales in Barrington Park were on fire in 2009 and 2010, due to low prices. In fact, I would say that Barrington Park Condos serve as excellent proof that real estate is always a seller's market. I think Barrington Park Condos have found their return to the market, and will soon join the rest of the Tallahassee real estate market with falling condo prices and falling condo values. 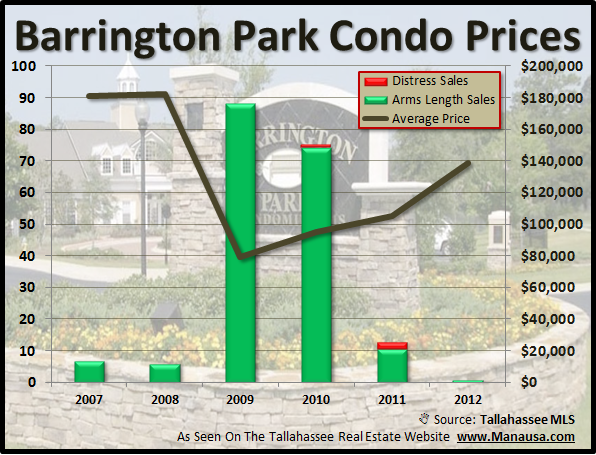 Please come back for more home sales reports on Tallahassee neighborhoods, including Barrington Park Condos.